One side is an iridescent peach shade and the other is a bright watermelon pink; each has a satiny finish. 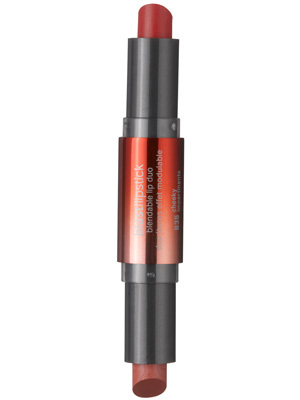 Created by makeup artist Pat McGrath, this two-sided lipstick is actually three, since the shades easily blend to create another bright, tropical color. Next Allure Daily Beauty Reporter: Can a Perfume Help You Lose Weight?